As I write, the hard clay and ochre of iron in central Australia’s soil spreads in every direction under my feet. The safety and familiarity of the aluminium can that we call an aeroplane contrasts against the harsh reality of this continent’s parched beauty. I’m flying away from home. Flying away from a world of comfort and safety to one completely unknown. As my fingers tap along the keyboard, sunshine warms the over-air-conditioned environment. Like a cat, I lean into it. Sunshine hasn’t been part of my world lately. Here, miles in the air, there is more natural beauty visible than in the white-washed world that fills my every-day. Here, there is more to fill the senses than the sensory deprivation that is my home. And yet, I already miss it. Home. The place where many sit hopeful, waiting hours expectantly for the return of their doctor. The doctors always promise to be back soon, an indeterminant period of time that leaves patients yearning while those in charge of their health are pulled to and fro by the call of a pager. The place where minutes turn to hours to days and weeks and months for those who wait for science and guestimation to find a solution to their enigmatic illness. Where the stay brings the accumulation of physical belongings to make this stark environment feel a little more like the real world, yet where the obligatory uniform of a hospital gown or hospital-issued pyjamas takes away any attempts to be oneself. Where the stories of normal life seem like an ethereal dream as the unchanging world swallows all traces of time. Home. Where the near empty corridors echo with the passage of people who have come and gone. Where lost family members search desperately for their ill loved one, only to end up in some dead-end room, confused, because there are no signs to find your way through these emotions. Where light-hearted conversation and meaningless jokes are shared in the lift lobbies as we wait eternity to find our way to another floor. Where a smile is worth just as much as the slap-in-the-face cup of coffee that dulls the fatigue sitting under the eyes of staff who’ve marched through the disasters of the night. Home. Where corporate attire is traded for blue scrubs and booties and a hair net. Where the excitement of the surgery ahead makes my internal music so loud that, lost in my own world, the team will find me humming loudly as I scrub. Where the dance of sterility beats the thrill of the D-floor any day of the week. Where the mind and the body truly connect…just this time around it’s many minds drawn together to put another’s body back together. 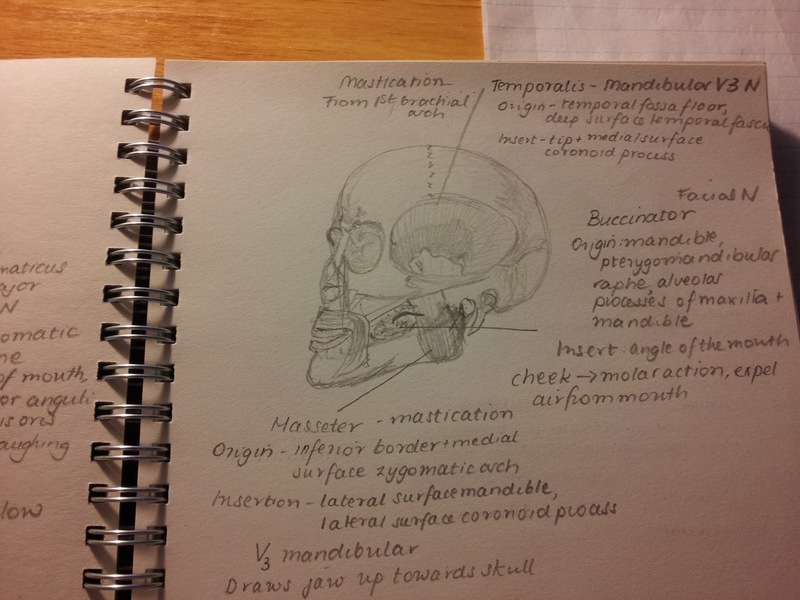 The memories of third-year full body dissection come flooding back. The fear. The apprehension. Here is someone who used to be alive. But they’re not anymore. Who are they now? Who were they? And where did they go? The green sheet that drapes over them, revealing only the vague shapes of what lies beneath. Hearts in our throats, we carefully removed the sheet and felt the sting of formaldehyde burn our eyes and throats. Beneath the protection of the sheet lay someone. This person used to be everything to someone else. Face down, all we could do was wonder. Who was this body that we affectionately named Carlos? The tutors tooled us up with scalpels. The five of us stared at each other in desperation – no one wanted to be first to mar the smooth, toughened skin of our charge. Shaking with nerves, I took the first slice. Layers of skin and subcutaneous tissue slowly gave way under the pressure of the blade. Working my way under the tissue, with a combination of blunt and scalpel-assisted dissection, the beauty of the human body revealed itself to us. And suddenly, we were all hooked. A quiet thank you escaped our lips – thank you, Carlos, for being so slim. We watched as other groups began the gruesome task of shifting buckets of excess adipose tissue from their cadavers. Carlos, though, had beautiful muscular definition just below his skin. The clarity of fascial compartments – something we had all thought would be intangible – and tendon sheaths made us pause and exclaim in wonder. We pulled on tendons and were overjoyed to see the motion of fingers. We were incredulous that all of these bodies, living and dead, in the room had developed from tiny little cells, and function through the immensely complex gooey lumps inside our craniums. A quiet thank you that we turned out okay. As we got to know Carlos better than we’d known any body before, we developed an acute case of X-ray vision, where passers-by became far more than clothed individuals. They became rib cages and beating hearts with synergistically contracting muscles moving them about this bizarre world. I’d look down and see more than my heel-clad feet. I’d see Tom Has A Very Nasty Diseased Foot. Tibialis Anterior. Extensor Hallicus Longus. Dorsalis Pedis, branch of the Anterior Tibial Artery. Anterior Tibial Vein. Deep Fibular Nerve. Extensor Digitorum Longus. Fibularis Tertius. I’d see the intrinsic muscles of the foot and the multitude of ligaments that defied my capacity to remember their names. I saw the bones articulating, gliding over each other with each step. And I wondered – what does the inside of a living person really look like? Gowned and double gloved, I now watch my registrars and consultants take scalpels to our patients. Our patients, who tell us fascinating stories. The ones who become constants in the ebbs and flows of our days, and the ones who turn up for a few days before disappearing back to their own worlds. Who go from Mr or Mrs Whoever to a knee, hip or ankle as the many blue drapes create a sterile zone for the only time causing pain and physical damage is legal. The only time people will thank you for giving them scars. As the diathermy cuts and cauterises, the soft tissues of life part to the will of the surgeon. The nerves are identified and packaged off to the side, out of harm’s way. The fracture begs for our attention. But it must wait until everything else is ready. And then comes the magic of open reduction and internal fixation. Screws and plates, hammering and pushing and pulling in a fight between functional alignment and unbalanced muscular forces. As the surgeons stitch the limb back together and Mr or Mrs Whoever is slowly brought back to consciousness by the changing concoctions of anaesthetic wonder, I can’t help but remember where this all started. From an obsession with Netters Illustrated Anatomical Atlas and a 34th edition of Gray’s Anatomy to time with Carlos, to the wonderful world of Henry Gray as illuminated in The Anatomist to the team bonding as we work to put limbs back together in theatre. A theatre where, just as actors, years of training go into getting to the top. Where precision is key and where you can’t be dazzled by the bright lights shining down upon you. A theatre where your company defines the quality of the performance. And when it’s all over, you can’t wait to get back on stage. As the land beneath me has turned from clay to sand dunes, my world has shifted. It’s time to move from surgery to medicine. From theatre to the front lines. But all I really want is one last dance. This is belonging. And this is my home.